There is a growing appetite for long haul travel among UK holidaymakers. 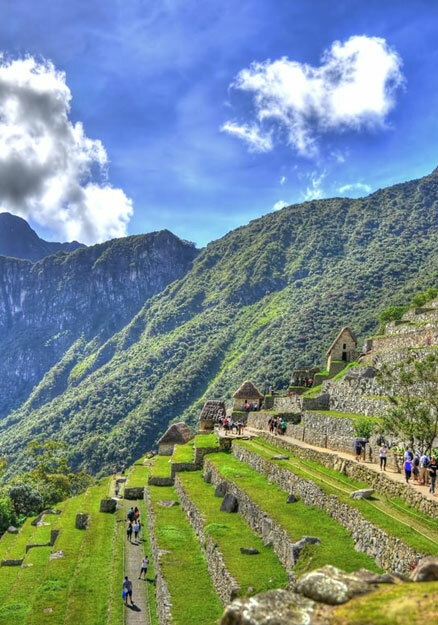 In particular, South America is one of the in-vogue destinations according to current trends reports. As you might expect, Latin Routes - a South America specialist tour operator - wanted to capitalise on this positive market direction. Latin Routes’ objective for its campaign was twofold; to raise awareness of its South American holidays, and to gather valuable customer data – including email addresses and travel preferences – to support its ongoing brand communications and drive sales with qualified leads. We’re incredibly pleased with the Facebook campaign delivered by Digital Visitor. Not only was the delivery team a pleasure to work with, the Facebook application they created was impressively effective, nearly doubling the target we originally set for customer data capture. To ensure the delivery of high-quality, targeted customer data, the social media campaign was centred around an interactive quiz application, built in-house to sit within the Latin Routes Facebook page. Asked a series of simple questions about their travel preferences, the app was designed to educate users about the holidays offered by Latin Routes. Entrants were then prompted to opt-in to receive ongoing communications from Latin Routes and partner British Airways, who was brought onboard to incentivise the campaign with flights to Peru. Featuring a simple entry mechanic, our app proved highly effective, capturing nearly 4,000 opt-ins from 5,000 entries. To further capitalise on such a high entry rate, our designers implemented a bespoke opt-in data form and thank you page to encourage viral sharing. Our additional activity worked impressively well, generating nearly 2,700 shares of the campaign and an immediate return on investment for Latin Routes through increased bookings. In support of our central Latin Routes app, our ads team curated a series of carefully optimised Facebook advertising campaigns. Designed to bolster targeted interest among key demographics, these featured compelling and inspirational imagery from across the available South American tours.